For the RA Magazine’s debate section. 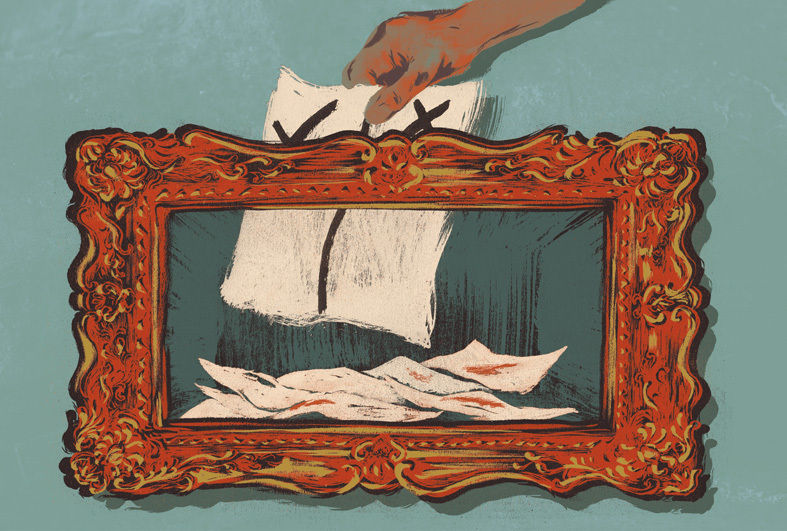 The question featured in this issue was: Should art be more political? The AD wanted the illustration response to remain impartial to either side, so what better than a ballot box! Thanks to Tom Pollard from Design by St.